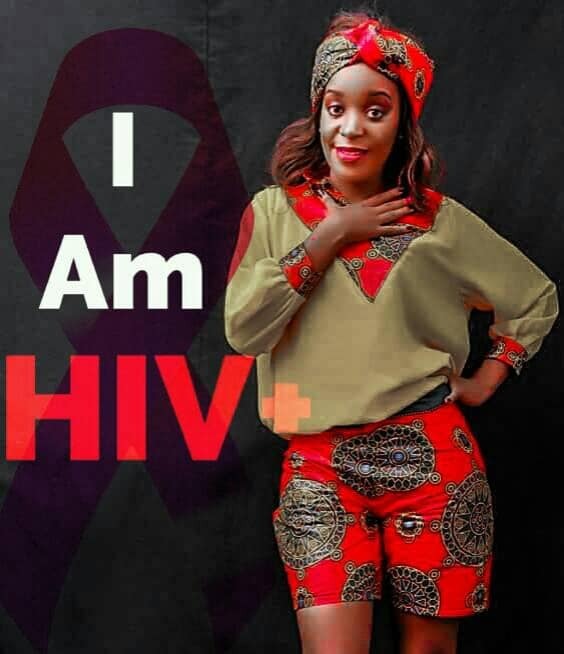 An HIV positive Ugandan woman, Hamah Nsubuga, has always left her audience moved when she shares her journey living with HIV/AIDs. Hamah, who’s celebrating her birthday today learnt about her status last year. She says she has learnt to stay positive and taking ARVs -which she loves- has helped her health improve greatly. 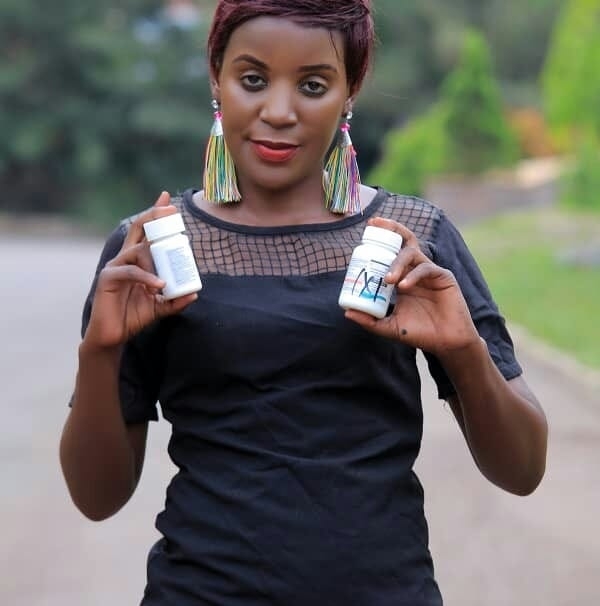 Hamah Nsubuga advises those living with HIV/AIDs to stop living in denial and embrace life because having the disease is not a death sentence. ‘Can say am a winner, yes I am in January last year, I tested HIV positive with a very low immunity because I had only two cd4 count. I was looking so bad, and I started taking my Arvs, my sweets the reason why am calling them Sweet’s it’s because of the big impact, they have done in my life but not because they’re sweet. Yes am taking my Arvs, my sweets and am so happy because my viral load is now suppressed and this goes to HIV positive people stop living in denial, accepted your status, take your medicine and adhere it, eat health food, take a lot of water love your self because self love is the best ,stop spreading to innocent people in name of revenge and remember there is reinfection , don’t make it your fault because being HIV positive is not the end of your life always learn to leave a positive life and lastly make God your best friend everything will be nice for you. Remember to keep your life safe because Arvs are not curable, always go for blood test, don’t trust people with their looks HIV is real, stop multiple partners, use protection and stop stigmatizing the positive people we end HIV because we all need love. if you still have a chance use it taking this drugs everyday it’s not easy my dear and not everyone that it will work for you. 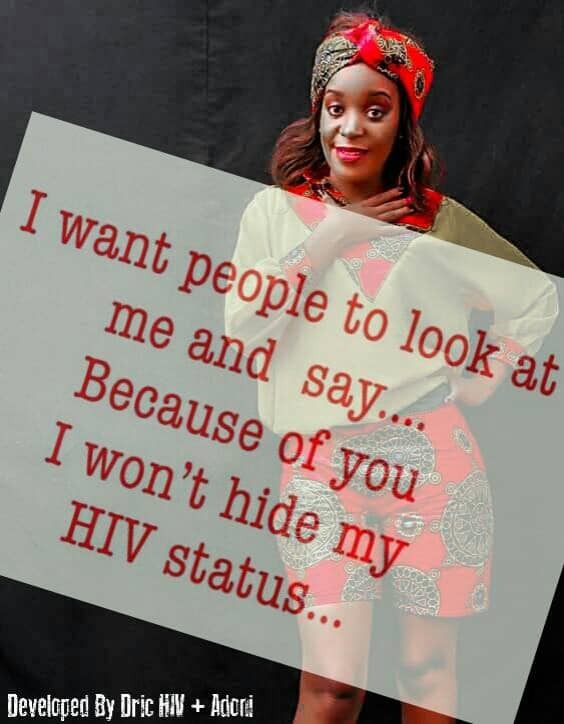 I decided not to spread the virus to innocent people and I came out for many who can’t just know HIV is not a death sentence, I love my self and I live a normal life. Twinamatsiko Kenneth Hamah Nsubuga Hamah ,,,,, with that beauty, you wouldn’t escape ( no escape route for HIV) God bless you with that iron heart bambi.in this world jelous people had killed so many people. Irene Biwott You’re a strong woman be resilient and live long. Okinyi Fredrick A good ambassador of hope. Liz Betty God bless you. Hope others will follow suit.